The Protein Sparing Modified Fast (PSMF) is regarded by many to be the most effective way to lose body fat while preserving muscle and avoiding rebound binge eating due to nutrient deficiencies. First developed in the 1970s, the PSMF has seen various permutations in weight loss clinics and the bodybuilding community. While the specifics vary depending on context, a PSMF generally defined as a diet with adequate protein, while simultaneously limiting energy from carbohydrates and fat. While the protein intake is high in terms of the food on the plate, it could also be seen as a ketogenic diet due to the high contribution of body fat to your energy expenditure which will generate ketones. Despite the peculiar name, there’s nothing really magical about a PSMF. It just means that you pay particular attention to protein in an energy deficit. If you want to lose weight quickly and body fat fast you need a more substantial deficit, and therefore more attention needs to be paid to ensuring you are getting adequate protein. This article outlines the key principles of the PSMF that can be applied to weight loss or maintenance over the long-term. If you just want a PSMF calculator to determine your optimal protein, fat and carbohydrate range along with nutrient-dense foods and meals, then we recommend you get your Nutrient Optimiser free report. In the medical version of the PSMF, patients obtain the majority of their energy from protein while keeping energy from carbohydrates and fat low. Protein levels are set at 1.2 to 1.5 g/kg of ideal body weight per day. Note: For someone with 30% body fat wanting to get to 10% body fat this would be equivalent to 1.5 to 1.9g protein per kilogram of lean body mass or LBM. Carbohydrate intake is typically restricted to less than 20 to 50 g/day. Additional dietary fat beyond what comes with lean protein sources is minimised. Patients in the weight loss clinic setting (e.g. for morbidly obese people in the lead up to bariatric surgery) are restricted to less than 800 kcal/day. most of the weight lost during a PSMF is from fat tissue rather than muscle.Adherence to a very-low-calorie, ketogenic PSMF program results in major short-term health benefits for obese patients with type 2 diabetes. These benefits include significant weight loss, often more than 18kg, within 6 months. In addition, significant improvements in fasting glucose and haemoglobin A1c levels are linked to the caloric and carbohydrate restriction of the PSMF. Insulin resistance was also attenuated, with possible partial restoration of pancreatic beta-cell capacity. Lyle McDonald popularised the PSMF for the bodybuilding community in 2005 with his 2005 Rapid Fat Loss Handbook. McDonald details how someone can individualise the PSMF based on their goals and context. Someone who is already very lean and undertaking heavy weight training will need higher levels of protein, while someone who isn’t yet lean may do better with a less aggressive approach over a more extended period. Unlimited green leafy fibrous veggies are strongly encouraged as they are filling and provide the vitamins and minerals with minimal calories. McDonald also recommends supplementing with a multivitamin, sodium potassium, magnesium, taurine, calcium and fish oil. A severely energy restricted PSMF is typically not a long-term proposition due to the risk of nutrient deficiencies with a severe energy deficit. If you are active and/or doing resistance training, then your requirement for protein is even higher. As shown in the chart below from a recent review paper by Stuart Phillips, lean muscle mass is best preserved when we have at least 2.6g/kg total body weight where there is an aggressive deficit (e.g. 35%). A lower protein intake of 1.5 g/kg body weight seems to be adequate where we have a more moderate deficit. The body fiercely defends loss of muscle mass by increasing appetite after periods of fasting or low protein consumption to ensure that muscle mass is retained. Conversely, as per the Protein Leverage Hypothesis (Simpson, 2005), it appears that we continue to eat until we get enough protein, and thus prioritising protein typically leads to a lower spontaneous calorie intake. If we eat foods with a lower % of energy from protein we may end up consuming more energy to obtain our adequate protein. Conversely, we can ‘hack’ our appetite by prioritising adequate protein while minimising energy from carbohydrate and fat. The chart below shows the relationship between protein intake and energy intake based on half a million days of MyFitnessPal data, with the lowest spontaneous intake occurring with the highest protein intake (i.e. 2.4 g/kg LBM). Similarly, the chart below shows that diets with a higher percentage of their energy from protein tend to increase satiety and lead to less energy intake while dietary approaches with less protein tend to increase spontaneous energy intake. Minimum carbohydrate requirement: While there is a need for the vitamins and minerals that are often packaged with carbohydrate-containing foods such as non-starchy vegetables, there is really no minimum level of carbohydrates. While it takes a little bit more work, we can get the glucose we need for our brain function from protein via gluconeogenesis. Minimum fat requirement: Most people have plenty of body fat stores that they can draw on and hence do not have an immediate need for dietary fat other than the essential Omega 3 fatty acids. You can still get a robust micronutrient profile with 10% dietary fat (or 0.4 g/kg LBM). This allows the fat from your body to be used for energy. The secret to a sustainable and successful PSMF is to get adequate protein, along with vitamins, minerals, the essential fatty acids with energy. This will improve satiety while also getting adequate nutrients which is really the holy grail of weight loss and long-term maintenance. The other advantage of consuming a higher protein diet is increased thermogenesis (i.e. the energy lost in the process of converting food into energy). The thermic effect (or specific dynamic action) is 5 to 15% for carbohydrates and fat and 20 to 35% for protein.The thermic effect of food is illustrated nicely by these images from Physioqonomics. We lose a lot more calories metabolising protein compared to fat or carbohydrates. While there is much debate over the “metabolic advantage” of fat vs. carbohydrates with claims that we can eat more calories of fat than carbs, there is actually an advantage’ when it comes to how many calories of protein we eat versus how much we can convert to energy. While we can convert protein to glucose (i.e. gluconeogenesis), it is harder to do, and our body doesn’t like to do unless it has to. Satiety typically kicks in quickly once we have had adequate protein and we go in search of fat or carbs which are easier to convert to energy. Just think, you can only eat so much steak, but you always have a ‘dessert stomach’, even after a big meal. Humans are programmed to overeat foods with fat and carbs with minimal protein to ensure that they survive the coming winter. Should you just eat the highest protein foods? What should I eat on a PSMF? The table below lists the foods with the highest protein content as a percentage of energy. These foods may be useful if you are looking to boost your protein intake. For a longer list of nutrient dense, high protein foods and meals tailored for your current situation and goals we recommend you get to obtain your Nutrient Optimiser free report. Just select “fat loss (insulin sensitive)” as your goal. While you may be getting plenty of essential amino acids if you focus purely on high protein foods, you may not be getting all the vitamins and minerals you need. As shown in the chart below, there is a strong relationship between protein and nutrient density. However, if we only focus on high protein foods, we may still end up missing out on the harder to find vitamins and minerals. The chart below shows the micronutrients provided by the top 10% of the foods in the USDA database when sorted for maximum protein content. Now imagine, that rather than getting 2000 calories, we are getting only 800 or 400 calories during long-term fasting or extreme dieting. We have a higher chance of becoming deficient in many key nutrients which may in turn increase appetite and drive us to eat more than we would like to. Ensuring you are getting adequate micronutrients is a key component to long-term success in weight loss and maintenance. In his Rapid Fat Loss Handbook McDonald mentions ‘The Last Chance Diet’ which was popular in the 1970s and 80s. It was essentially a PSMF centred around liquid nutrition which led to the death of a number of devotees due to some fatal flaws.First, they picked the cheapest protein source available, collagen; a protein that provides essentially zero nutrition to the body. Second, they provided zero supplemental vitamins and minerals (some of which would have been obtained if the dieters had been eating whole foods in the first place). This caused a couple of problems including cardiac heart loss (from the total lack of protein) and arrhythmias from the lack of minerals. Basically, the problem wasn’t with the approach so much as with the food choices. PSMF’s based around whole foods (which provide high-quality proteins as well as vitamins and minerals) and with adequate mineral supplementation have shown no such problems. Nutrient density becomes even more critial when we consciously try to limit our energy intake. Attaining adequate micronutrients can help to mitigate metabolic/mitochondrial slowdown and adaption to the severe calorie deficit. If we are getting the range of micronutrients we need, the body is more likely to keep on feasting on our own fat stores without reacting like there is a famine. Similar to the protein leverage hypothesis, it seems if we provide the body with low nutrient density food it is driven to consume more energy to ensure that it gets the nutrients it needs. While we can argue that the some of the DRIs for various nutrients are overly conservative, you also don’t have to look too far to find people that argue that we need multiple times the DRI for another particular nutrient to optimise our health and longevity. You don’t need to worry about precisely meeting the daily recommended intake for every single micronutrient every single day. A healthy well-balanced diet will achieve the DRI for the majority of the essential micronutrients most of the time. More research is required to understand whether our requirements for different nutrients change depending on our diet (e.g. how much less vitamin C do we need if we are not consuming as much glucose) and how much more bioavailable nutrients are from plants versus animals. However, if you are an order of magnitude below the recommended values for a handful of nutrients, then you should consider focussing on foods that contain that contain higher levels of that cluster of nutrients. If you are an order of magnitude over the recommended values for a particular group of nutrients you don’t need to prioritise foods that contain those nutrients. Bruce Ames’ Triage Theory suggests that if we are low in critical nutrients, the body will prioritise those nutrients for functions essential to short-term survival rather than longevity and preventing the diseases of ageing (e.g. cancer, heart disease, Parkinson’s, Alzheimer’s, etc.). So, while we might do OK with poor nutrition for a period of time, we will probably do better if we obtain a substantial amount of all the essential nutrients. Ideally, we would get these nutrients from whole foods which are more likely to contain all the non-essential but also beneficial vitamins and minerals that we don’t track. not getting sufficient nutrients is potentially dangerous and possibly the fatal flaw of the PSMF. We can use the Nutrient Optimiser to prioritise foods with the nutrients we want to obtain more of. Prioritising amino acids is usually unnecessary because maximising vitamins and minerals generally leads to more than adequate protein. However, in a PSMF where we are severely limiting energy, we want to increase protein as well. The chart below shows the resultant micronutrient profile achieved if we ate 2000 calories per day of the foods recommended by the Nutrient Optimiser. When we focus on nutrient density, we get adequate quantities of all nutrients other than the Omega 3 fatty acid alpha-linolenic acid. The chart below shows the same foods if we only ate 600 calories per day rather than 2000. Even with these highly nutrient dense foods, we miss the DRI for eight of the essential nutrients. Hence, we may still benefit from supplementing with Omega 3, vitamin D, calcium, magnesium and potassium if we are intentionally limiting energy on a PSMF. It’s not hard to imagine that our ability to maintain a low energy intake and achieve sustained weight loss is likely related to getting adequate levels of the various essential micronutrients without having to over-consume energy. Conversely, a nutrient-poor diet will likely drive us to consume excess energy which will lead to obesity. To make this a little more practical let’s look at some calorie math using a hypothetical scenario. If you want to skip the numbers and are looking for a PSMF calculator, then we recommend you check out the Nutrient Optimiser free report and select fat loss (insulin sensitive). Let’s say Super Ted is looking to get shredded for the Ketogains conference in two weeks but also wants to stay strong and to win the arm wrestle and beat the reigning champion, Mighty Mouse. Super Ted currently weighs 160 lbs or 73kg and has 10% body fat. His maintenance energy intake is 2336 cal/per day. … it’s not so dramatic when you also take into account the body fat being burned. Between the 8% dietary fat (8%) his body fat stores (60%) Super Ted will be getting a ketogenic level of 68% of his energy from fat while also adequate protein to maintain his muscles and enough carb containing vegetables to get the vitamins and minerals that are also critical to his long-term success. The details of the calorie math are shown below. Once you take the energy deficit into account Super Ted is consuming 2.2g/kg LBM. When you look at his Nutrient Optimiser analysis, you see that Ted Naiman (aka Super Ted) is actually consuming 2.4g/kg LBM. Meanwhile, Luis Villasenor (aka Mighty Mouse) is also consuming protein at 2.4g/kg LBM during his PSMF. Luis says his regular protein intake is around 140g increases this up to 180g during a strict PSMF. For most of us, such an aggressive fat loss approach might be hard to maintain long-term. So, let’s consider another scenario with another hypothetical character. Big Ted doesn’t post shirtless for photos on the internet. At 110kg and 30% body fat Big Ted is far from shredded. Big Ted is also pre-diabetic. His doctor has warned him that if he doesn’t lose a significant amount of weight he will need to take Metformin and then insulin before too long. Big Ted is motivated to drop a significant amount of weight with perhaps a calorie deficit of 30% which will take him about 30 weeks to get to his goal weight of 90kg. We can refine Big Ted’s PSMF approach given that his circumstances and goals are different from Super Ted’s. Rather than just prioritising nutrient density and energy density, this scenario also prioritises a lower insulin load given Big Ted’s looming pre-diabetes situation. The chart below shows the nutrient profile of these foods once we take a 30% energy deficit into account. Big Ted will be meeting the DRI for all his nutrient other than Omega 3s which he may need to supplement. This is basically a hybrid between a PSMF and a low carb diet. If you want to try this approach in the Nutrient Optimiser select ‘fat loss (insulin resistant)’ for a not so aggressive version of the PSMF for a lower long-term approach. The charts below show the energy consumed and energy burned. There is a significant amount of fibre which will not be metabolised for energy, but rather feed his gut bacteria. There is still a substantial amount of net carbs from veggies. However, there are no sugars or processed grains to be seen, so they’re not about to boost his insulin or send him on a blood sugar roller coaster. Once his body fat loss is accounted for, half of Big Ted’s energy expenditure is still coming from fat. Although we didn’t prioritise amino acids, we still get a solid 2.2g/kg LBM protein. As shown below, the nutrient profile of these foods is also excellent. These foods will help Big Ted to minimise his chance of developing nutrient deficiencies which may lead to rebound binge eating and derail his long-term weight loss efforts. How often should I eat on a PSMF? Big Ted is fond of intermittent fasting. He finds it easier to not eat for a day or two and then eat to satiety rather than trying to count calories or restrict energy. Meanwhile, Super Ted likes to eat two meals per day which save him time and helps him not overeat. But which one is ideal? It’s not so important when you eat as long as you stick to the foods that align best with your goals. Recent research suggests that in the fasted state we can use up to 3.5 g/kg/day and digest up to 4.3 g/kg/day of protein. This makes sense in an evolutionary context when there wouldn’t have been a regular supply of food, but we would have needed to be able to use the food when we came across a big hunt after a long famine. Practically though, it can be hard to consume your minimum protein allocation in one sitting. Eating two meals a day seems to be ideal to help you maintain a consistent deficit while maximising satiety and minimise your opportunities to continue to eat. Eating earlier in the day also appears to be better as it aligns better with your circadian rhythm and insulin sensitivity as well as eliminating opportunities to overeat which seems to be easier at night when you have time to kill rather than when you are trying to get on with your day. A PSMF is never a zero calorie fast as it will have enough calories to get the protein you need and ideally some essential fats and adequate vitamins and minerals. People with more fat to loss will be able to maintain a more significant deficit for longer without losing muscle than lean bodybuilders. Your Nutrient Optimiser free report will give you an estimate of this lower calorie intake based on your current body fat levels, and your minimum recommended protein intake. Each person needs to find the ideal approach that they can sustain until they achieve their goal. Ideally, if you’re going to the effort of tracking your food and dieting, then you want to be losing at least 0.5% body weight per week. If you’re not achieving at least 0.5% per week, you should ratchet down your maximum calorie intake until you do. Weight loss of 1.0% per week should be treated as an upper limit over a shorter period. If you’re losing more than 1.0% per week over the long term you may risk losing excessive amounts of lean muscle mass. Rabbit starvation happens to very lean people if they only have lean protein foods with minimum fat available. They just can’t get enough energy to sustain high levels of body fat. However, for most of us who have plenty of body fat, this is an advantage. Eat more of the foods and meals recommended your Nutrient Optimiser free report. The fat loss (insulin sensitive) option is designed for aggressive short-term weight loss (i.e. leading up to a bodybuilding comp). The fat loss (insulin resistant) option may be more appropriate if you have more weight to lose over a more extended period. Minimum protein intake in a weight loss clinic setting is 1.2g/kg total body weight. Your appetite will likely drive you to eat more protein if you are working out. 2.2 to 2.4 g/kg lean body mass is typical for someone lifting heavy. Focusing on nutrient-dense foods will ensure you still get adequate protein as well as vitamins and minerals while minimising energy consumption. Eat only carbs that come with non-starchy veggies (i.e. no processed grains or foods with added sugars). Eat only the fat that comes with lean protein foods. It will be hard to overeat these high nutrient density low energy density foods. It may be beneficial to track or plan your energy intake to ensure you are achieving your goals. Ratchet down your maximum energy intake until you achieve your desired rate of weight loss (e.g. greater than 0.5% per week). If you are dieting and not active the body will see your muscle as unnecessary and expensive. Resistance training will help you to use the protein to build lean muscle and keep your metabolic rate up. To improve your chance of long-term success, it’s essential to pay attention to both your protein and your micronutrient intake. If you want to maximise your chance of success you can track your food in Cronometer and feed it back into your Nutrient Optimiser report to determine the optimal foods and meals to help you continue to fill your nutrient gaps. 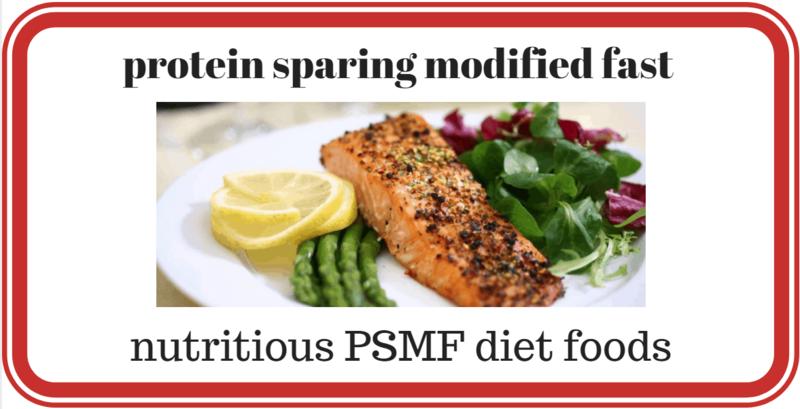 The protein sparing modified fast (PSMF) provides adequate levels of protein to support lean muscle mass while restricting energy from carbohydrates and fat. Protein intakes vary widely depending on the goals and the level of energy restriction between. Providing adequate nutrients, ideally from whole foods, is critical to long-term weight loss and maintenance. It is crucial to prioritise nutrient-dense foods to improve your chances of long-term success. While the PSMF is commonly used in weight loss clinics and the bodybuilding community, the principle can also be applied in other situations to maximise fat loss while maintaining lean muscle mass. Personally using LCHF, but keeping nutrition high, I am now working through the Nutritional Ketosis (NK) which proposes lower protein to stop gluconeogenesis ( for readers: https://en.wikipedia.org/wiki/Gluconeogenesis ). What are your thoughts on gluconeogenesis in the whole mix ? and the g/kg ratio ? Have a look at my last two posts. When your body is in a nutritional ketosis state your body naturally goes into a muscle sparring mode. It seems redundant to overload your body with protein. If your body has any stored fat that’s where you will get the energy.. your body is not going to start breaking down your muscles for energy when there is stored fat to be burned. You don’t loose muscle because of your diet. You loose muscle because you are not using them. definitely. as discussed in the article, people who are just looking for aggressive weight loss aim for lower end protein intakes (1.2g/kg ideal body weight) while people who are lifting heavy and turning over a lot of protein typically target more to prevent loss of lean muscle mass in fasting. if you just focus on getting adequate nutrients it’s hard to not get enough protein. Marty, are the nutrients inside the box with red dashed lines the ones that are to be focused on for each of the different diets? In other words, if I focus on these specific nutrients and use your food list for the diet it references, then I don’t need to worry about tracking the other nutrients? I need to write a post to flesh that out more. A full red rectangle equates to a score of 100% (i.e. you would have two times the DRI for all nutrients). There are always nutrients that are harder to find, but they are different for different approaches. If we focus on foods that contain more of the harder to find nutrients we typically get more than enough of the other ones. I hope that helps. sure. let me know if you have specific questions. 1) What is the better way to import the data (directly or via a few moves) ? 2) and then how do I setup Nutrient Optimiser ? 3) Are there any other sources I can use, e.g. HeadsUpHealth, Ketonix (breath Ketone reader app), AppleHealthKit, etc. Hi Marty, I appreciate you are a busy man.. did you get a chance to review my 3 questions regards my navigation towards your NO. I may be misunderstanding this,but shouldn’t the end of this say “which means you DON’T? need to eat a lot of them?……….While these vegetables have a very high nutrient density score (ND) in terms of nutrients per calorie, they also have a low energy density which means you need to eat a lot of them to get the nutrients you need. Sorry if it is just me being confused……. A very low calories diet (high in proteins) is indicated here to lose weight. Recently I was following the 5000 calories a day intake (fats and proteins) by Jack McAnespy where there was no weight gain. Any thoughts? It seems that some people can increase their metabolism and activity for a period of time to burn off excess energy to defend a body weight set point. For example, if my son eats a ton of sugar at a party he’ll get hyper and jumpy until he clears the energy. I don’t think this work for everyone though and likely not most people in the long term. Many people will find their blood sugars stabilise and they find a natural level of satiety when they stop eating processed carbs and switch to a whole foods low carb diet. Lots of people will lose some weight. But it seems that many people stall with an ad libidum ‘eat fat to satiety’ approach and it’s the people who actively manage their intake that achieve leanness. This video with Luis and Allesandro is worth a watch. Interestingly, it appears that we require less energy intake once we’re adapted to a higher fat diet, so unlimited fat, fat to satiety or ketone chasing with more fat may not end well in the long term. This article is awesome! I stumbled upon this PSMF concept recently but there isn’t a ton of easily accessed info out there. This article set me straight on a lot things. What other PSMF references are people using? Are there some books and podcasts I should be looking for? I want to know more but I’m having trouble getting my hands on additional detailed information. Thank you!